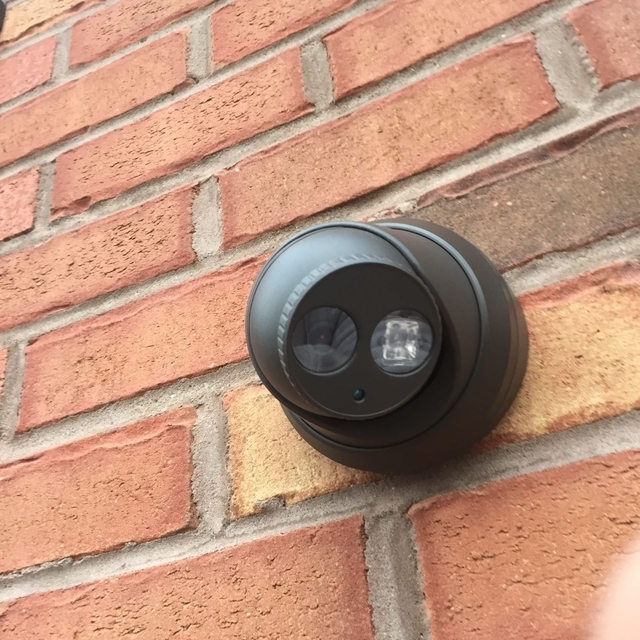 We installed the cameras on our two homes and our business place as well. 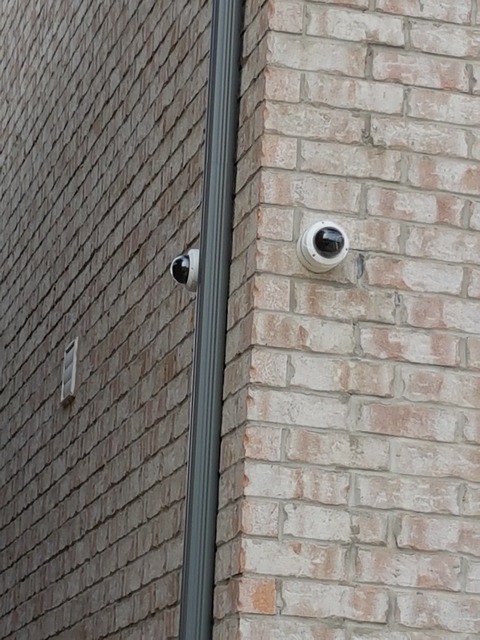 They installed very high quality cameras. Their services are best, as anytime you have any issues they work with you until you are satisfied. I give them full marks and recommend them. Thank you William for the nice review. We value giving good service. 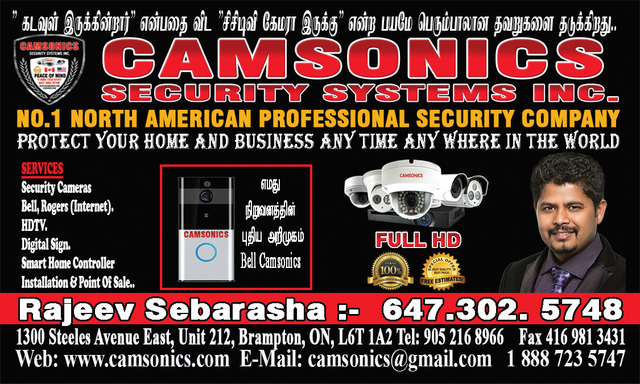 Camsonics is a leading provider of electronic security solutions and network services in Greater Toronto Area. Our company employs highly skilled certified and experienced professionals. 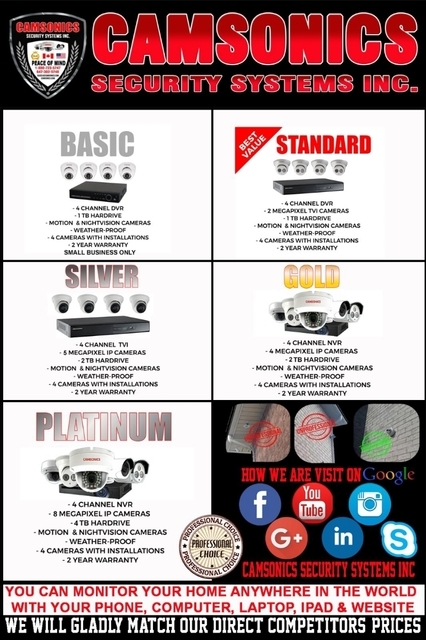 Our team is led by highly experienced and qualified security systems professional. We take great pride in integrating our skills and knowledge with cutting edge technology in the world of physical security to provide our customers with best security systems solutions. 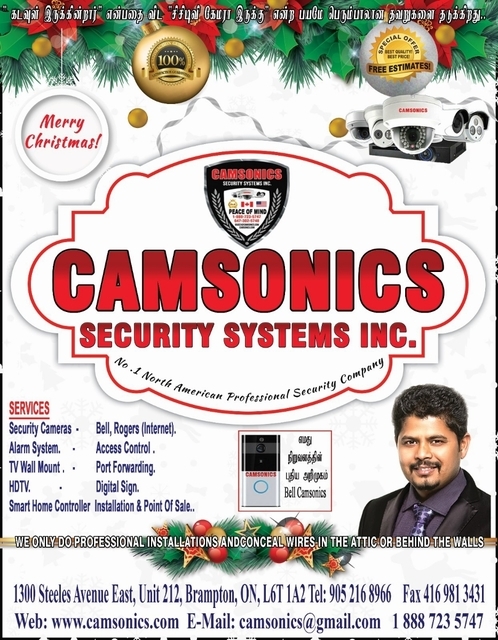 Camsonics provides the kind of service that you deserve. We customize each system to make your security system operations more efficient. 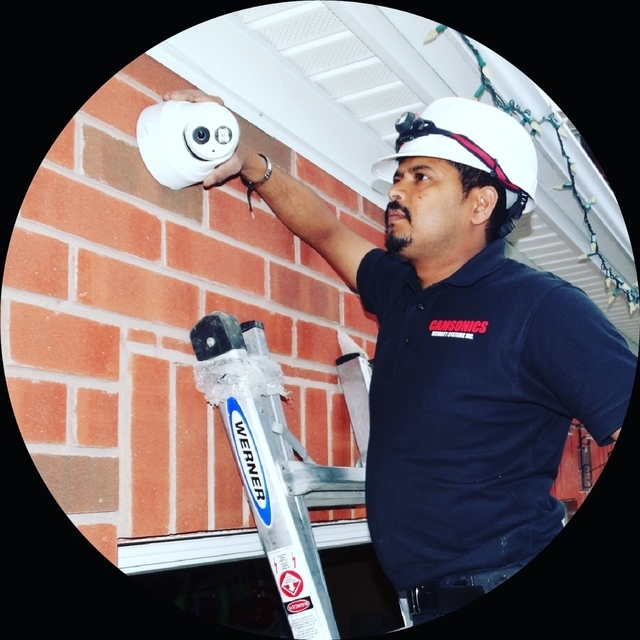 Our fully trained, certified and experienced security systems and network technicians and engineers are ready to meet with you to discuss and understand your security needs. We will work with you to give options to suit your needs. Our services are available 24/7. Yes, we work around the clock at your convenience. Whatever your needs may be, we will work to meet them; our services is targeted specifically to suit your demands. 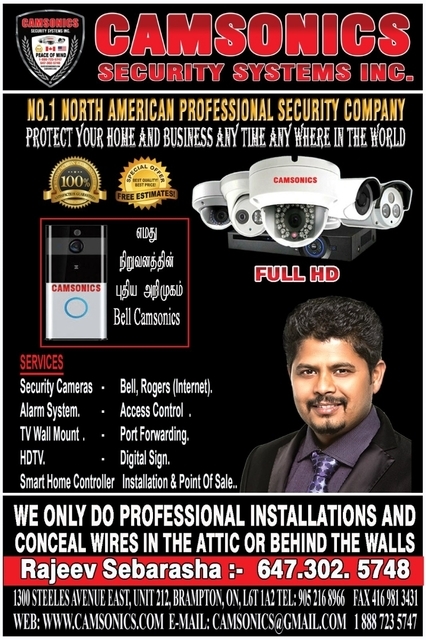 We know how important security and safety is you. Thus, we give you more options than any one of our competitors and always find the best solution to suit your needs as well as to meet your budget. We only do Professional Installations and conceal wires behind walls or attics. 2 years on Workmanship. Please ask for details. Depends on project completed.